The noise all around the Internet relating to the white marks that Apple’s new HomePod creates on some wooden surfaces is almost impossible to avoid right now. And while there have also been reports that some competing products also fall foul of the exact same behavior, it is Apple’s first foray into the smart speaker market that is getting all of the attention. That’s not really fair, and Mike Prospero over at Tom’s Guide decided to see just how widespread the “white ring of death” really is. In order to carry out his tests, Prospero put no fewer than nine different smart speakers through their paces, all sat atop a pine board that he picked up from Home Depot, along with some mahogany stain and Howard’s Feed-N-Wax – the same treatment that he has on furniture that had previously been damaged by a HomePod. In order to put a wide swathe of devices through their paces, Prospero got his hands on an Amazon Echo (2nd Gen) and all of its family; an Echo Plus, Echo Dot, Echo Show and Echo Spot as well as the aforementioned HomePod, a Sonos One and Google’s Home Max and Home Mini. After leaving all of them on the board for 27 hours, the results were in. 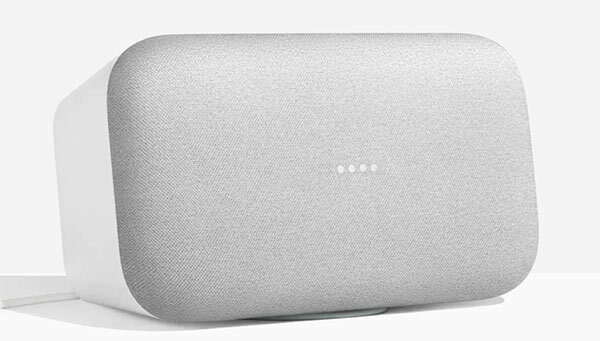 As it turns out, the Echos are ring-free, but the same cannot be said for the HomePod – as expected – the Sonos One or Google’s Home Max, either. As Prospero notes however, the Home Max should be just fine if you do not use the silicone pad that Google ships with its device, instead placing the device directly on the desk. The upshot of all this? 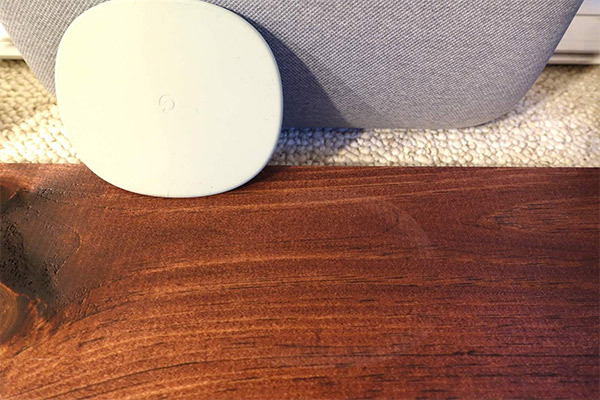 If you’re worried about marking a wooden surface, avoid the HomePod and Sonos One. If you want to try the Google Home Max, maybe ditch that silicone pad, too. The pads are there to isolate the table from speakers vibrations which hamper sound quality. Not using the pads is plain stupid.